The (Roman) Temple of Mithras was originally built in the early third century, circa 220-40, and abandoned in the fourth, when Christianity came to replace paganism throughout the Roman Empire, the remains only coming to light again during rebuilding after the Second World War, when they were moved to a new location on the west rather than east bank of the Walbrook (they are currently in storage and awaiting a move to another new location, in a specially designed space in the Bloomberg Building, which is under construction and scheduled for completion in 2017). 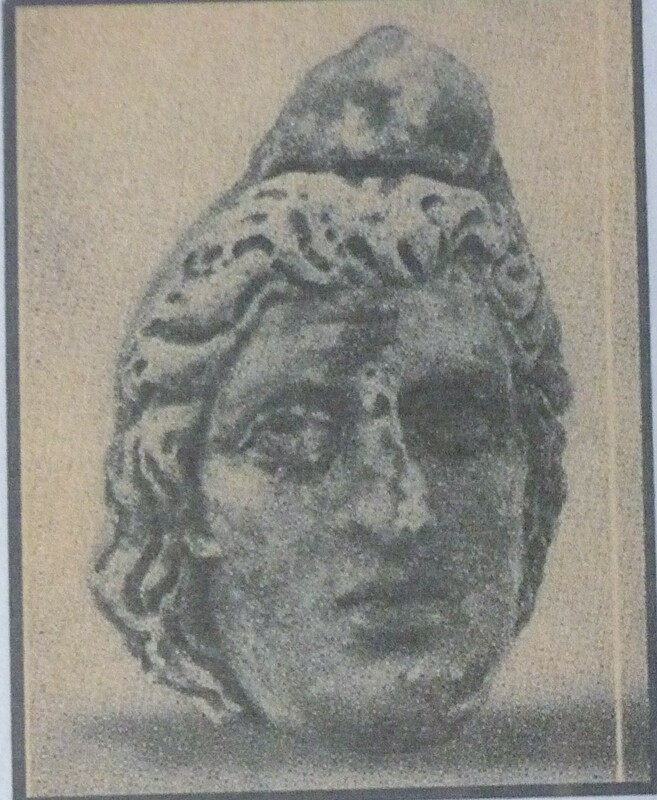 Mithras, sometimes referred to as the “pagan Christ”, was originally a Persian god, from the Zoroastrian pantheon, an assistant of the powers of good in their struggle against those of evil, who served to slay a bull created by evil, from the blood of which all life was believed to have sprung. He eventually came to be identified with the Unconquered Sun, or Sol Invictus, and to epitomise purity, honesty, and courage. 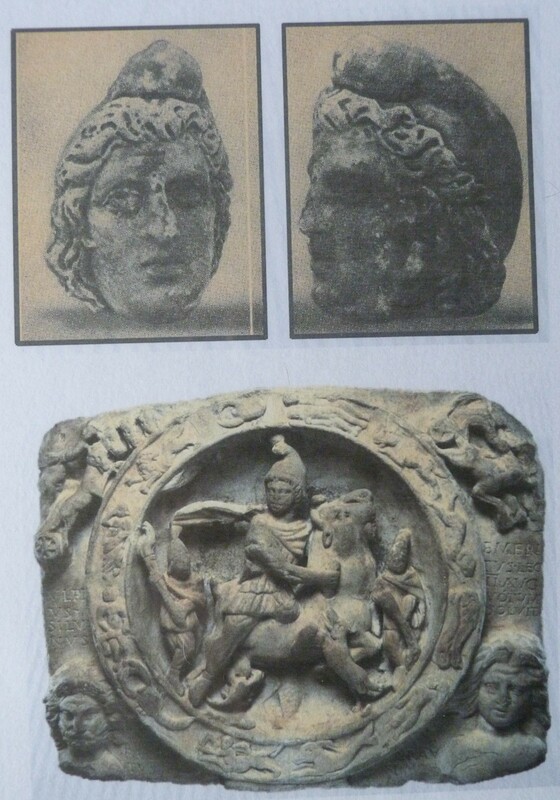 Mithraism, the practice and mystery cult of Mithras worship, as by then distinct from Zoroastrianism, came to Rome in around the first century BCE, and spread throughout much of the Roman Empire by the first century AD, becoming most widespread in the third. 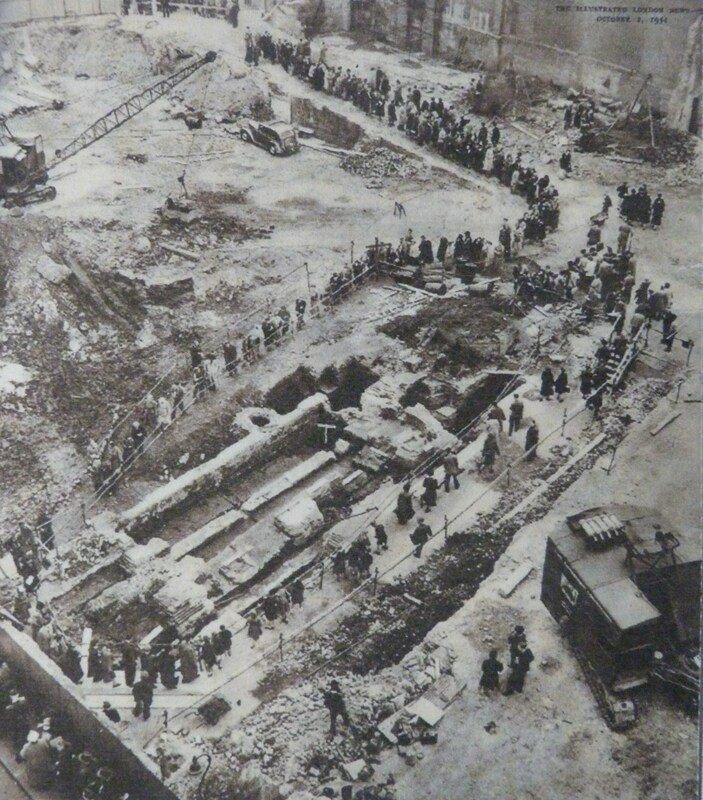 It was practised in specially dedicated temples or “Mithraea” (sing., “Mithraeum”), many of which were underground (because Mithras slew the bull underground, in a cave). 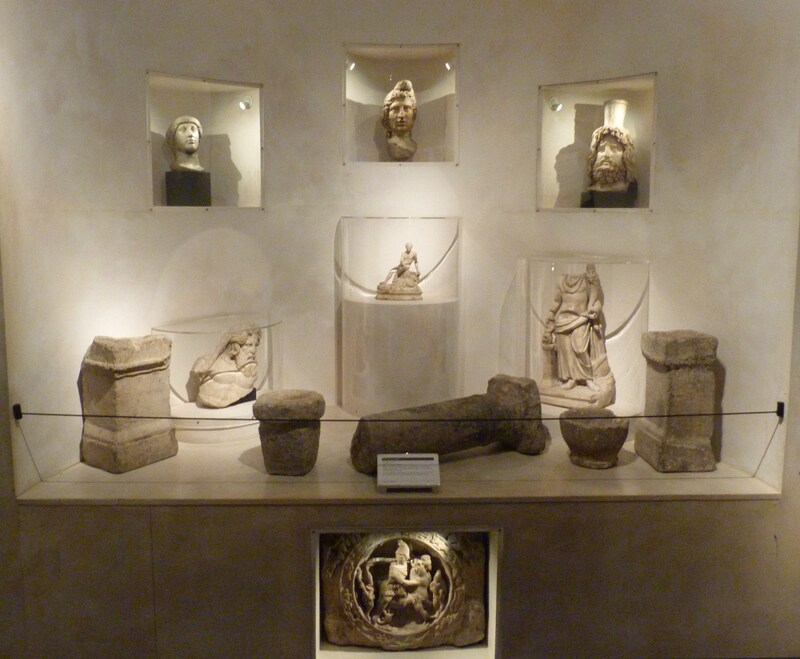 A marble head of Mithras recovered from the Mithraeum in London can be seen in the Museum of London. 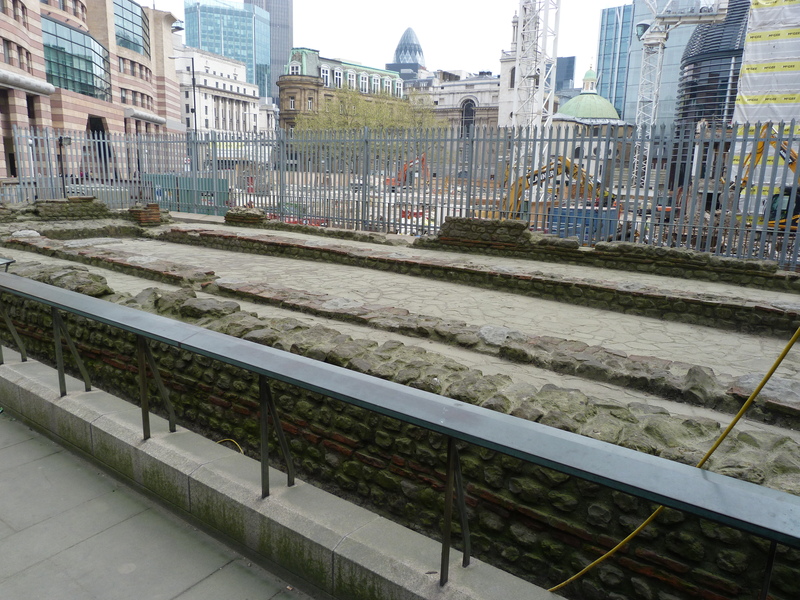 This entry was posted in Roman London and tagged Roman Empire, Temple of Mithras on September 23, 2014 by Bob Jones - The Lost City of London.